WILSON (WTVD) -- A 15-year-old girl is the fifth person arrested and charged in connection with the death of a beating victim. Wilson Police arrested the juvenile on Tuesday and charged her with first-degree murder, attempted robbery with a dangerous weapon, and second-degree burglary. The girl will be held in secure custody until her first appearance. On Sunday, a teenager became the fourth person arrested in the homicide investigation. Ramond De'Shod Atkinson, 18, was charged with first-degree murder and attempted robbery with a dangerous weapon. Atkinson, of the 4600 block of Honey Suckle Lane in Rocky Mount, is being held in the Wilson County Detention Center under no bond. On Wednesday, police responded about 2:40 p.m. to a call in the 100 block of Hines Street and found Stephanick Timothy Jones, 43, suffering from severe lacerations. Jones was taken to Wilson Medical and then life-flighted to Vidant where he underwent surgery. He died Friday as a result of his injuries. On Thursday, while Jones was hospitalized, Wilson police received an alarm call about 3:40 a.m. concerning a break-in at his apartment in the 1600 block of Lipscomb Road. Subsequently, three suspects were arrested. 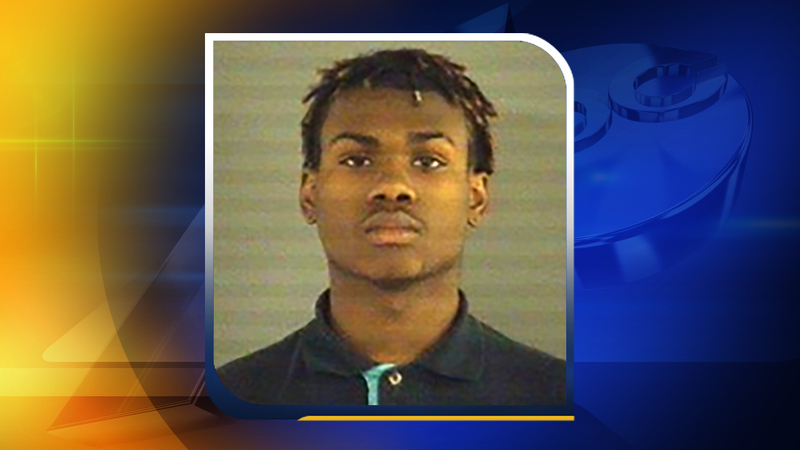 Matthew Joseph Taylor, 19, of the 800 block of Eastern Avenue in Rocky Mount, has been charged with first-degree murder, attempted robbery with a dangerous weapon and second-degree burglary. Robert Earl McDonald, 22, of the 800 block of Eastern Avenue in Rocky Mount, was charged with first-degree murder, attempted robbery with a dangerous weapon and second-degree burglary. Elijah Joshua Woodie, 20, of the 800 block of Eastern Avenue in Rocky Mount, was charged with first-degree murder, and attempted robbery with a dangerous weapon. All the suspects are being held in the Wilson County Detention Center under no bond. Wilson Police said they are continuing to investigate. Anyone with information regarding these cases is asked to contact the Wilson Police Department at (252) 399-2323 or Crime Stoppers at (252) 243-2255. Coincidentally, another homicide took place on Hines Street in Wilson exactly one year earlier. Read more about that case here.